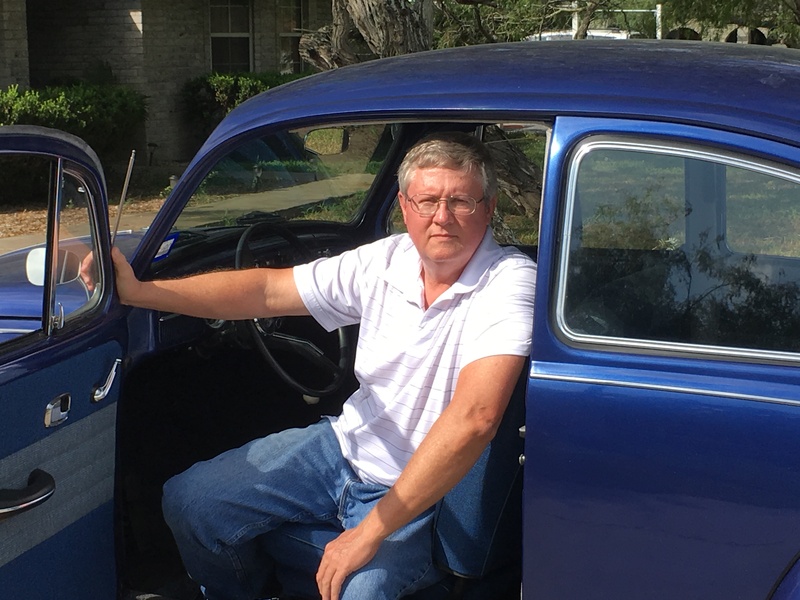 At the time I purchased the Beetle, I was semi-retired and looking for something to do. 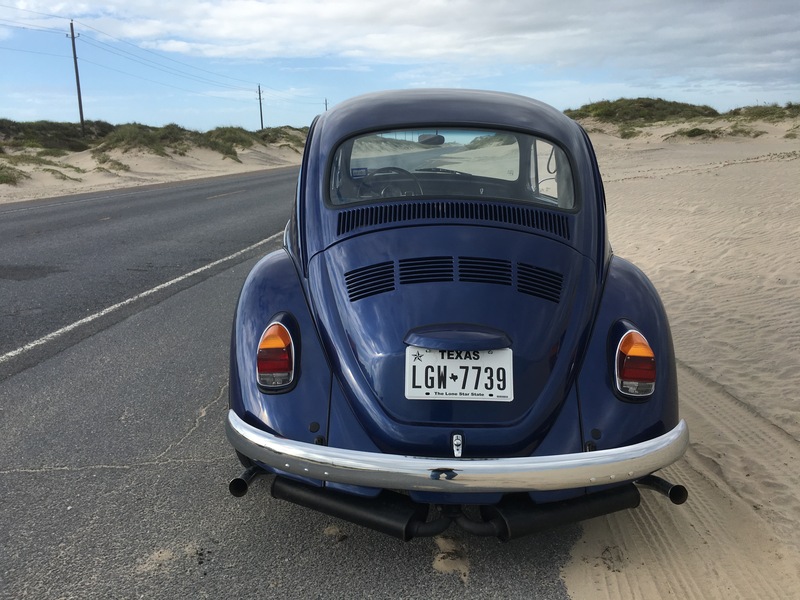 I started looking for Beetles down here in South Texas, along the Coast, but all that I found were rusted beyond my capabilities and/or desire to fix. 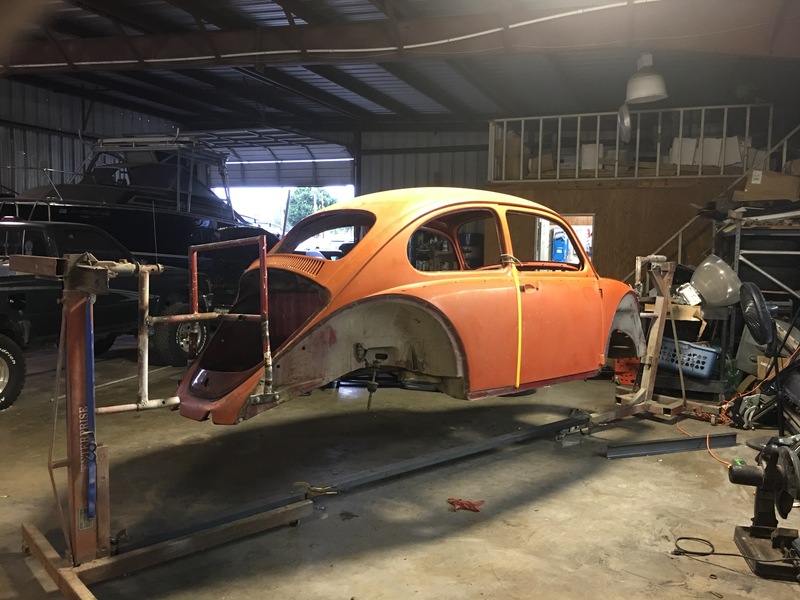 Eventually, I found a 1967 Beetle in Houston that had been in the family for 38 years and was destined for the owner’s daughter. Lack of air conditioning in the Texas heat, coupled with the lack of garage space, eventually contributed to the car being put up for sale. I called and asked about the history of the car. 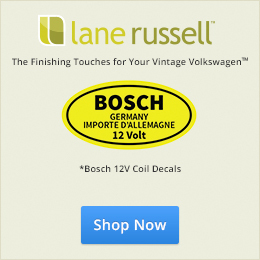 The owner was the son of the man who bought it sometime in the late sixties or early seventies. He remembers riding in it all over Arizona and down into Mexico as a kid. It originally was Red but had been painted orange. Orange was the only color he remembered it being. His dad had given it to him. He tried to convince his wife and daughter that it would be the daughter’s high school car. Alas, that didn’t work and he tired of looking at in his garage with the engine dismantled. I purchased it in Houston and proceeded to bring it home when it had a blowout while towing it across King Ranch. Lots of sweat later, I called a family friend, who owned a shop. I asked if I could drop the car off there and have him to do some initial analysis. 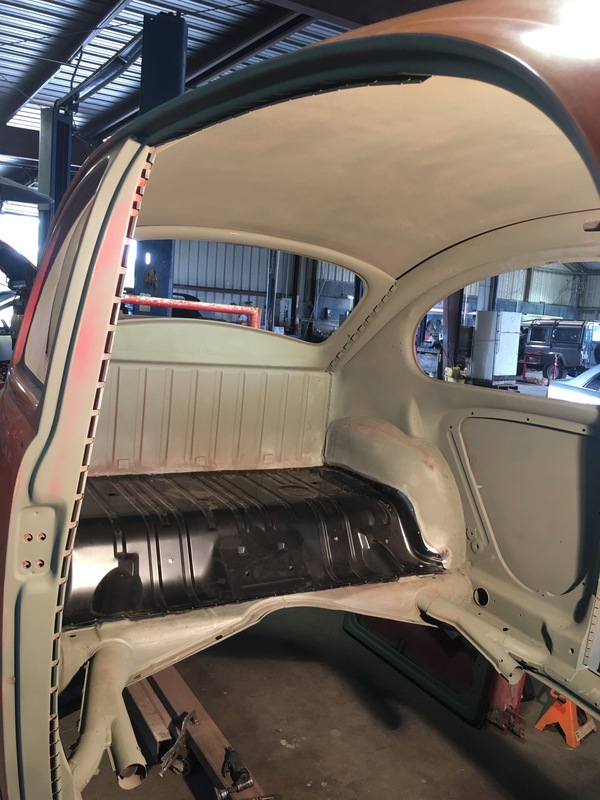 I had not planned to do a full restoration, but after two years of part time work, I did go completely through the car. It did not have the original engine, long since replaced, but the pan and body numbers match the title. So a full original car it is not. 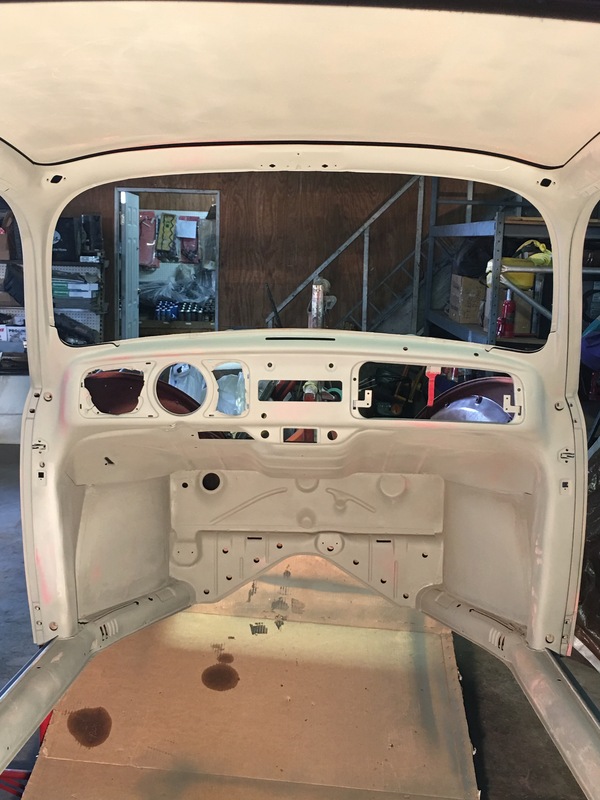 I completely dismantled the car and have about 2000 photos taken to help document how it looked originally and to help me figure out how to put it back together. It includes a very nice custom interior plus full sound deadener in the pan, body and roof. 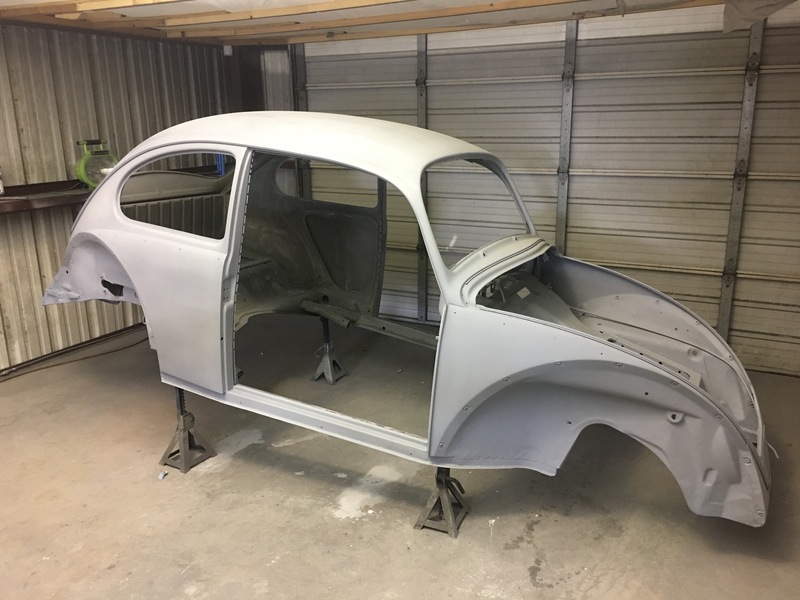 This was my first VW Beetle restoration, although I have done a few Mustangs and a couple of early ‘70s pickups. Anyway, I have basically repaired and/or replaced every mechanical item on the car. I had it on a rotisserie stand for better access and to be easier on my back. 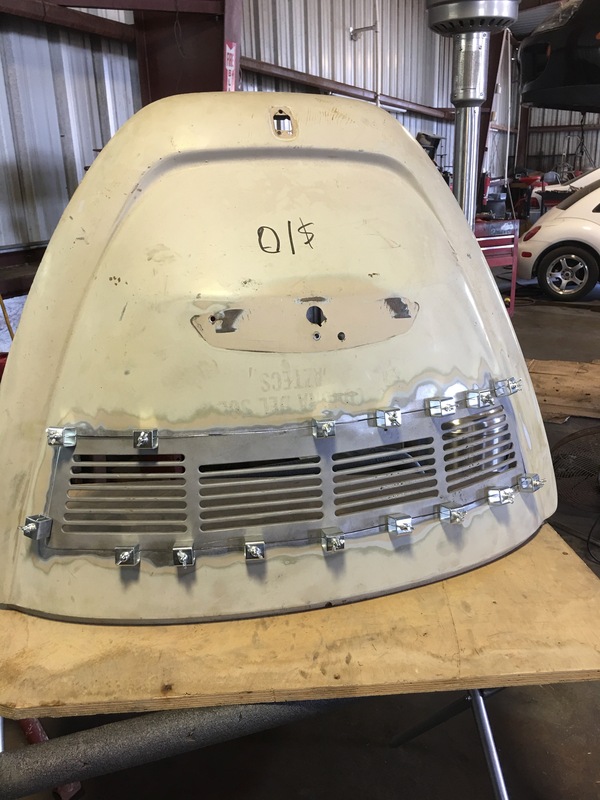 The Beetle has been modified in that I added louvers from a 1974 engine cover because the engine is now a dual-port with a doghouse cooler that draws more airflow. The owner gave me all the parts he had for the car and, according to my engine builder, the headers were from Gene Berg. It also had an aftermarket exhaust system. 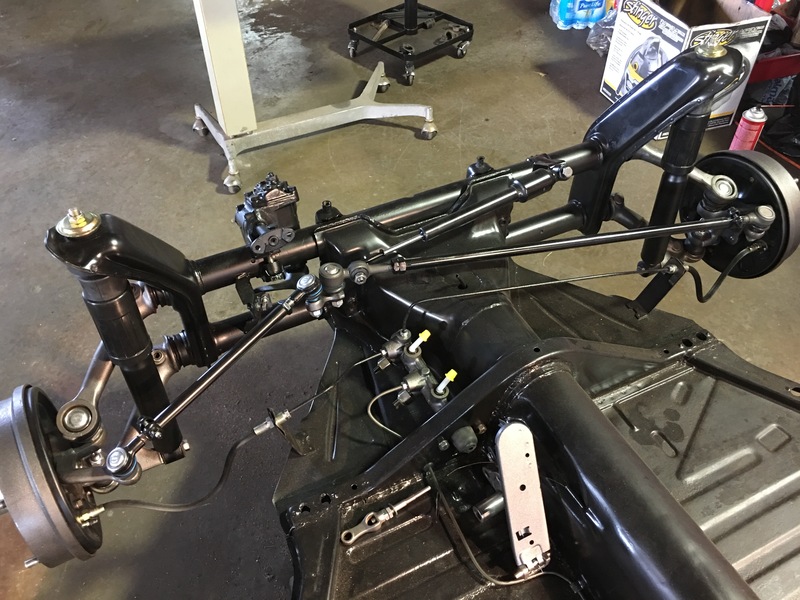 I tried to keep to the previous owner’s idea for the car so I used his parts in my rebuild. The main thing I did, that is my choice, is the repaint. This was done in 2012 in a color known as “VW Reef” instead of the original red. It is a deep blue. After days and days of polishing, it came out pretty nice. The previous owner had purchased Fuchs style rims in 1978. These, I cleaned and used. I also used the blade bumpers (no over riders) that I was given with the car (still in new wrapping) but I wanted back up lights. So I used 1968 Beetle tail lights with the European lenses. I also painted, and stored, the original 1967 tail light housings in case someone in the future wants to go back to them. 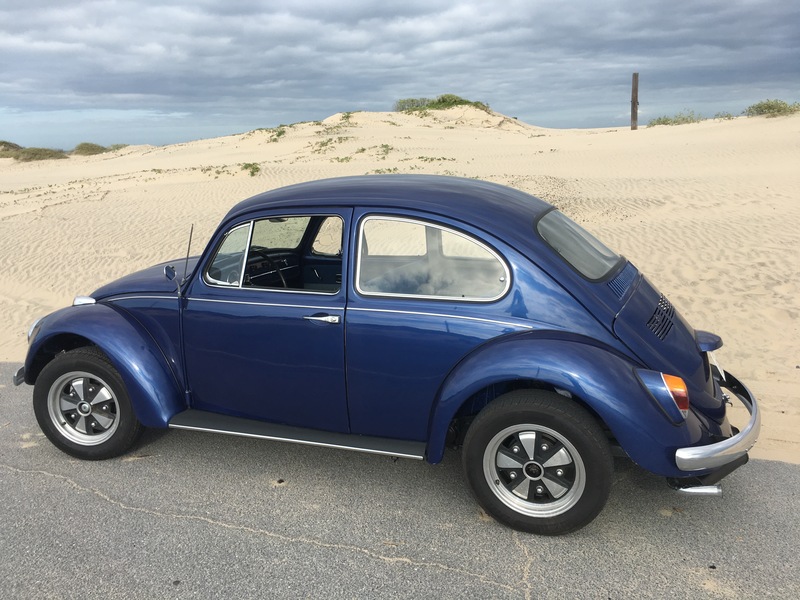 Not a full original like most of the cars on 1967beetle.com but it does look pretty stock and the color really makes it stand out. Eventually, the car will be for sale but, for now, I plan to drive it around and have some fun! Great article, Mr Salser. I have been reading this 67.com for over 10 years. Faithful Readers and Supporters are integral to a Site like this one which Eric and Amanda have engineered and continue to maintain. Nice resto . That could be my car I had in high school. Mine was originally red and was painted orange here in Arizona. I sold it in 1973. Thanks…have any documentation with a VIN # on it? I wish I did. My dad bought the car for me and we were rebuilding the original engine when we found a crack in the case. 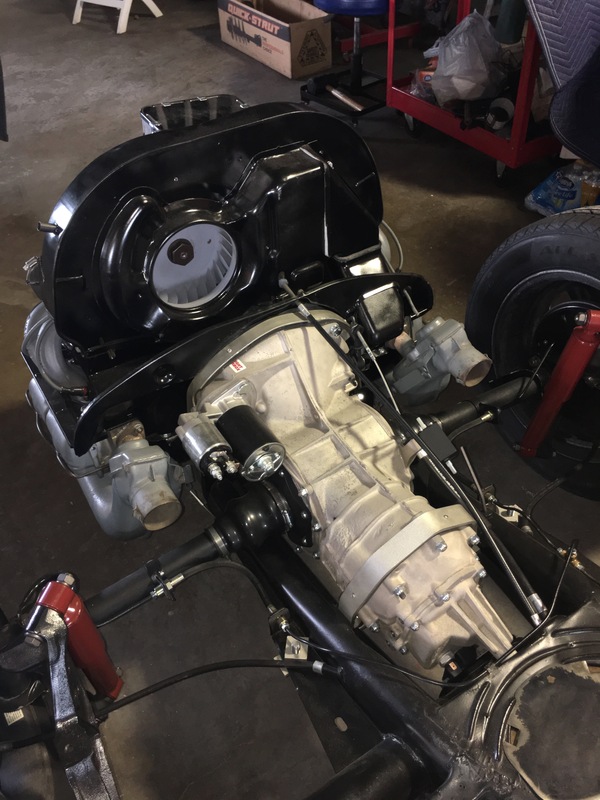 We put a engine from a 68 in it. Not sure if it is the same car, but man the years and color changes go with it. One heck of a coincidence if it isn’t. I would love if it were the same car. what a life it had. Was your beetle ever hit? I did find a slight bend to one of the engine supports. If so, which side? 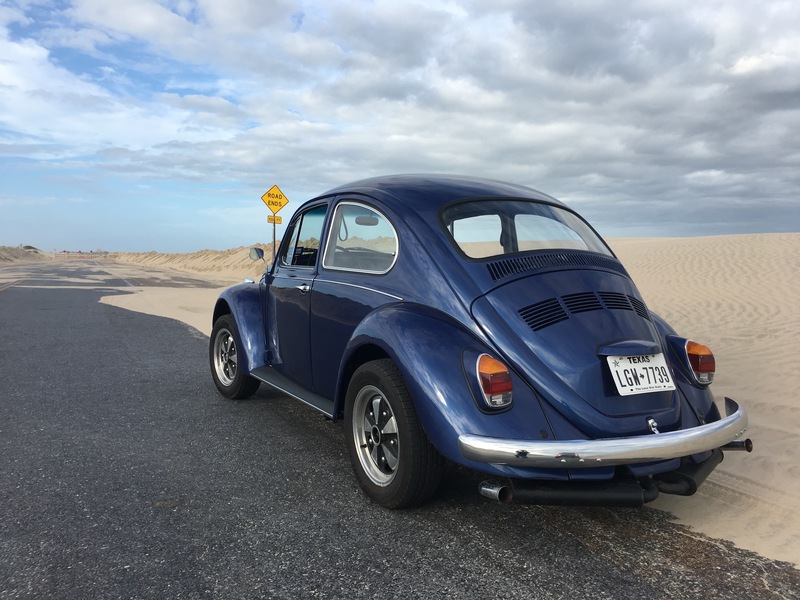 I don’t have to tell you how beautifully you have restored that gorgeous blue bug, but I’ll tell you that you are an artist…and your photography is delicious. Not original, but a beautiful job. 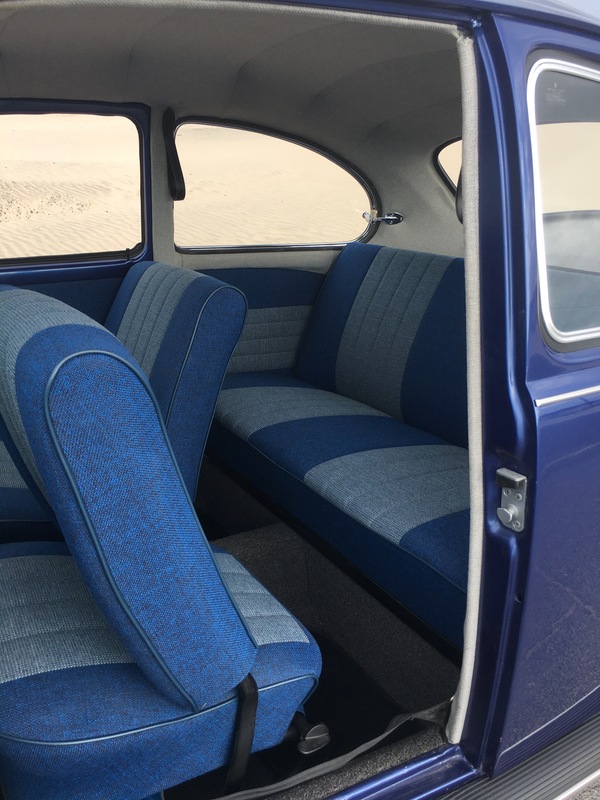 I very much like the color and interior work as well. As I’m looking at it, I’m having trouble thinking of a better wheel for it. Great job. Thanks! I agree. Now I need to find the best center caps to put on the wheels. 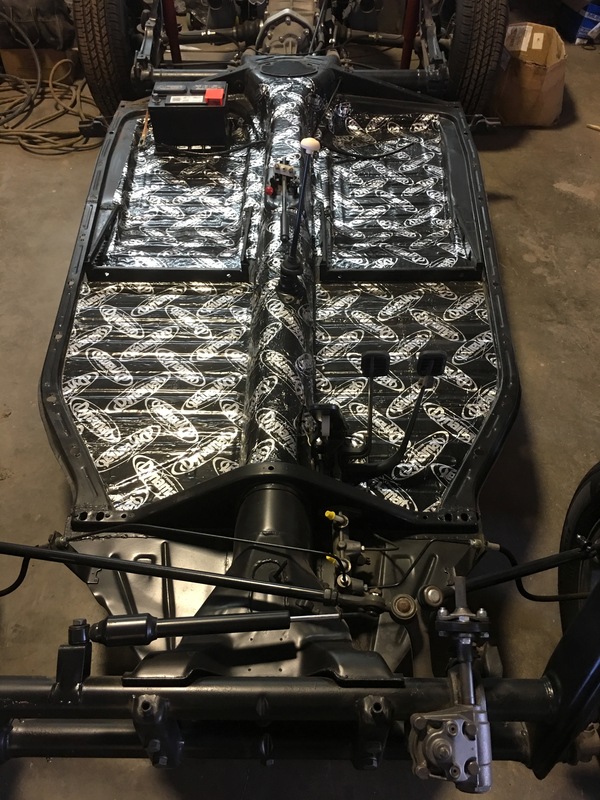 Best center caps…. I’m thinking that BEST would depend on you, but for my liking the American racing domed style would look great. Now I have seen simular push in styles from CIP… as to the fitment without modification I’m not sure. Empi also had some you could look at. 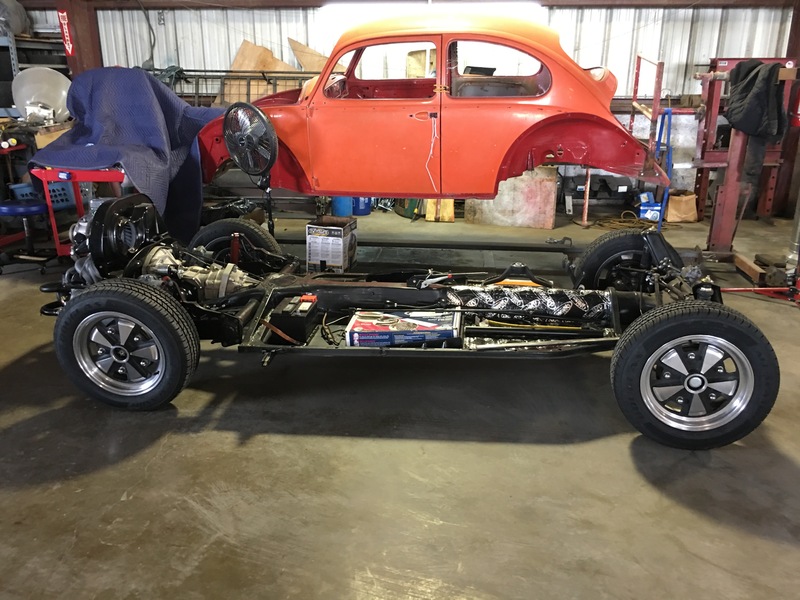 Through pictures, phone calls and trips I followed my brothers work on his beetle over the two years he put into it. He removed, cleaned and painted every bolt, nut, screw, spring, etc to take it completely all the way down to the pan. He spent time analyzing and researching everything to keep it as original as possible. His choice of color was right on and the interior compliments it. His decision to tear the motor all the way down and ensure that it will last another 50+ years just shows the thought process he put into his work. I had the honor to help him work on a couple of minor things on a couple of my trips there and for that I say thanks Jimmy. 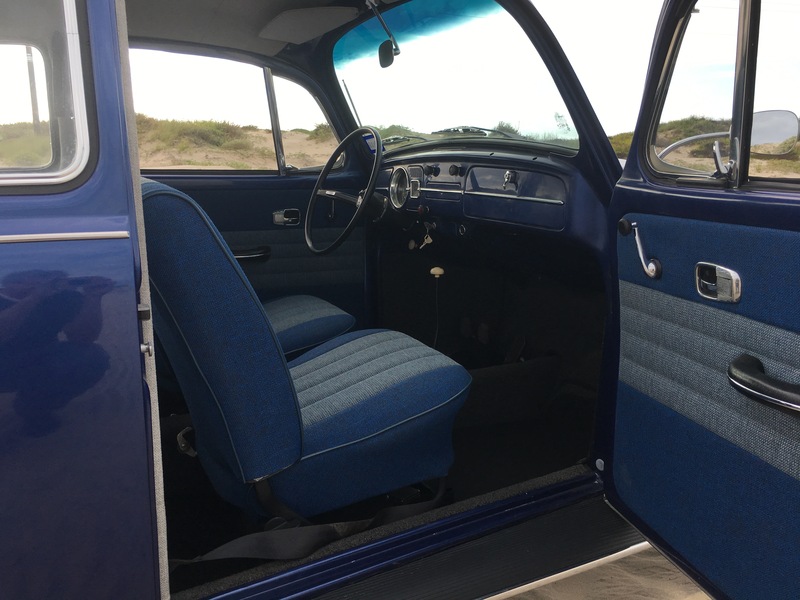 Having seen it in person, his beetle just pops! Thank you, Jay. I will continue to follow. Nice work Jimmy, and I’ll bet it’s great driver too as it is as solid as it was when it was new. The work you did on the pan alone looked first rate.